Fairy Fencer F: Advent Dark Force Review - HEY! HEY!! LISTEN!!! "Long ago, when light and darkness still bore life, the Goddess emerged from the light, and an entity known as the Vile God burst forth from the darkness." 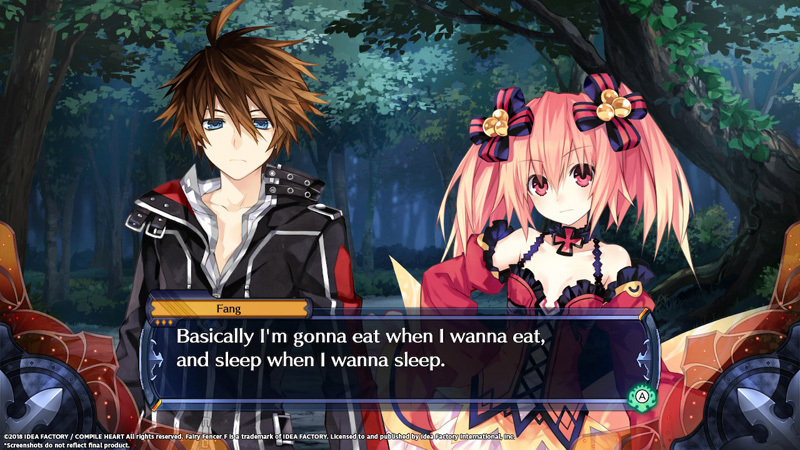 Just a couple short years ago, the joined forces of Neptunia Team and Final Fantasy composer Nobuo Uematsu and Final Fantasy illustrator Yoshitaka Amano brought gamers a little game called Fairy Fencer F. The game served as a sort of spiritual sequel to Hyperdimension Neptunia, utilizing a more advanced battle system than that of its predecessor. With cute characters in a dark new world, the game turned heads with its release. Promising a more developed battle system and an extended plot, the game is born again for the latest console generation. 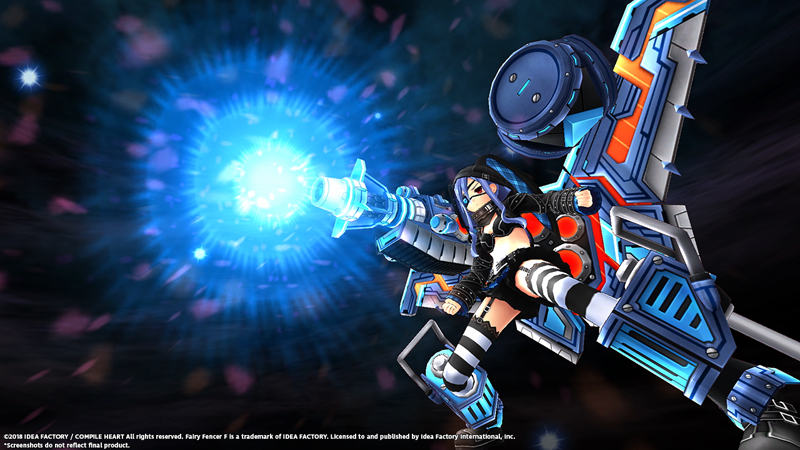 Is Fairy Fencer F: Advent Dark Force truly the definitive edition? Fairy Fencer F stars perhaps the most unlikely of heroes. After a grave misunderstanding involving instant gratification, the young Fang takes accepts the challenge of a sword pulling ceremony. Upon his success, the sword is revealed to be a legendary Fury by none other than its residing Fairy, Eryn. She explains that she is but one of many Fairies, and it is by collecting them all that any single wish may be granted. Realizing the reality of not getting his free lunch, Fang shows little interest in Eryn’s quest. He literally walks away from his destiny. He doesn’t get far however before his stupidity gets himself thrown in the brig. With no other likely means of escape, Fang turns to Eryn for help (after some coaxing) and reluctantly agrees to collect Furies, thus taking on the role of a Fencer. It doesn’t take long for the two to run into another pair seeking Furies to collect. While their relationship has a rocky start, the four agree to form a party to better meet their goals. In addition to having extensive knowledge of everything Fury, Tiara also brings a very special ability to the table. 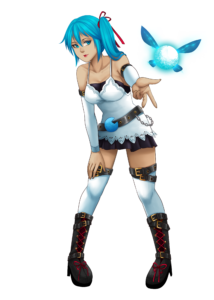 Her Fairy, Cui, has the ability to reach the seals of the Goddess and Vile God, ancient beings that once controlled the fate of the world. This is where Advent Dark Force begins to differ from the original release. As with the original, an important part of Advent Dark Force in terms of both story and gameplay is the Godly Revival. Once obtaining a new Fury, Fang and friends may visit the Goddess and Vile God to attempt to break either seal. While the game, as well as Tiara and Eryn, strongly suggests the player to do the prior, both options are available to the player. In the original release of the game, the Godly Revival oddly had no effect on the game’s narrative. Even if the Vile God was completely unsealed, the game’s story would still go about its day pretending that the player did as they were told. The same cannot be said about the updated release. Advent Dark Force features a total of three possible endings. The requirements for each of these is based on the number of seals broken for each god, whether the player focuses on one or both. As with most Compile Heart games, the most important option of the game’s story is its characters. Fang, Eryn, Tiara, and Galdo are quite the lively bunch. They each drive to get the furies, each for their own reasons. Fang and Eryn aim to recover the former’s memories, Tiara hopes to revive the Goddess, and Galdo pretty much just wants to help out. While their intentions are (mostly) good, their chemistry is often the opposite. As with its spiritual predecessor Hyperdimension Neptunia, it is the development and interaction of characters that make the game what it is; a fine plot with a great cast of characters. Unlike most games, Fairy Fencer F features not one, but two lead designers. The first is Tsunako, a veteran artist of Neptunia Team who has previously worked on Hyperdimension Neptunia and Date A Live. The second, as surprisingly as it may be, is Yoshitaka Amano, the world-renowned illustrator of the Final Fantasy series. With such differing between the two, some may expect a clash in design. Luckily this is never the case. 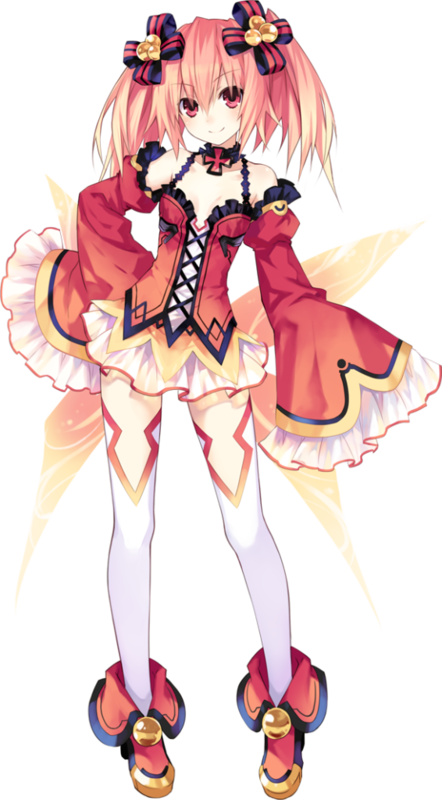 Tsunako is the character designer, creating the likes of Eryn and Tiara in such a way that one might half expect them to show up in a Neptunia title. The divine gods, however, are designed by Amano. Considering his record of making godly work, this seems like a natural fit. In terms of the in the in-game graphics, Fairy Fencer F yet again takes a page from Hyperdimension Neptunia. Tsunako’s designs are translated beautifully into cel-shaded character models. For better or worse, the game looks just as good as it did previously on PS3 and PC. While it is certainly one of the best looking Compile Heart games, it doesn’t quite reach the graphics potential as last year’s Ultradimension Neptunia VIIR. The biggest deterrent is the game’s odd use of blurring effects. This is most notable when looking at far off terrain. As ranted in many reviews before, one of the best things about Fairy Fencer F is its “Live 2D” art. During skits, whether they be from the main story or side event, each character is portrayed by Tsukano’s 2D stills. Of course, it is hard to call them stills as the characters do everything but. Each character blinks, jiggles, and breathes as they converse with each other. These minor details breath life into the characters, making them more believable than the static 2D images of old. Hopefully, Compile Heart’s knack at Live 2D art will make such a style a norm for others to aspire by. As previously mentioned, the gameplay of Fairy Fencer F: Advent Dark Force builds off from recent Hyperdimension Neptunia titles. Because of this, many of the basics remain the same. 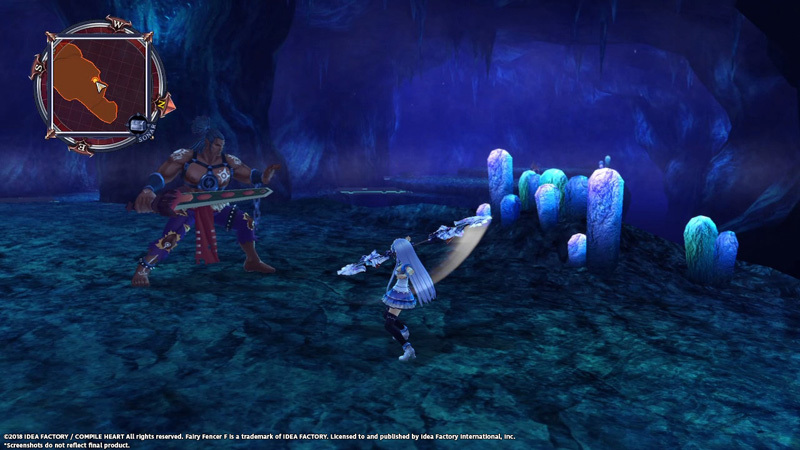 During each battle, the player controls a small party of Fencers. While the original game was restricted to a three-man party, Advent Dark Force allows players up to six. In battle, each combatant on both sides will take turns to make their move. 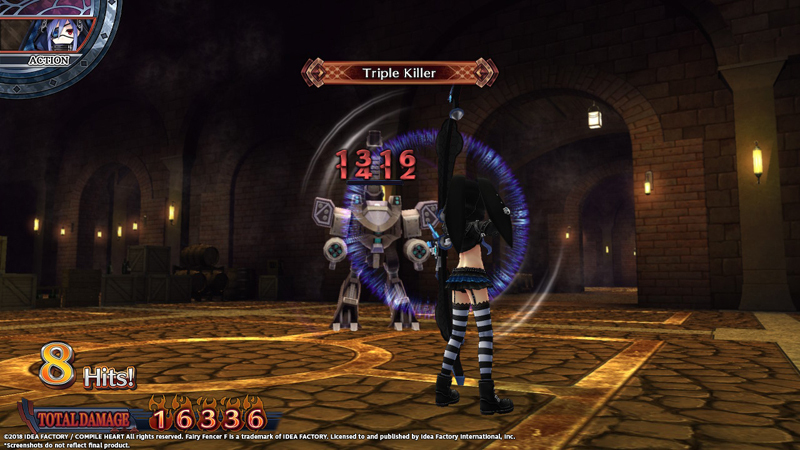 At the beginning of the turn, the character may move freely within a limited space similar to Ultradimension Neptunia and Valkyria Chronicles. Once in an ideal position, the character can chain attacks, activate special skills or spells, and of course, use items. In addition the basic moves, each character also has a special ability based on their personality. These range from Fang’s costly power buff to Harley’s ability to view an enemy’s stats. All of which can be game changers when used correctly. Perhaps the most unique skill that Fencers have to offer is the ability to “fairize.” These transformations are the physical union of a Fairy and their Fencer, giving an appearance like a CPU’s HDD. Upon activation, the Fencer will not only get a boost in offensive power but also gain access to devastating special attacks. With many of these able to target not only one but multiple enemy units, it can be the key to victory, especially at earlier points of the game. Best of all, the activation of fairize trigger’s the game’s very best song. Simply put, there are two types of games in the world. There are those that are composed by Nobuo Uematsu and those that aren’t. Luckily Fairy Fencer F: Advent Dark Force is in the prior class. Nobuo Uematsu’s band Earthbound Papas is responsible for a majority of the game’s tracks. The most important of which is “First Contact ~1st Henshin Theme~.” This is the aforementioned song that plays during when a character activates their fairize ability. The song is a perfect call back to classic anime like those with glowing blond hair. It’s one of the closest examples of an OST track. To whom it may concern, do not worry about the game’s audio. 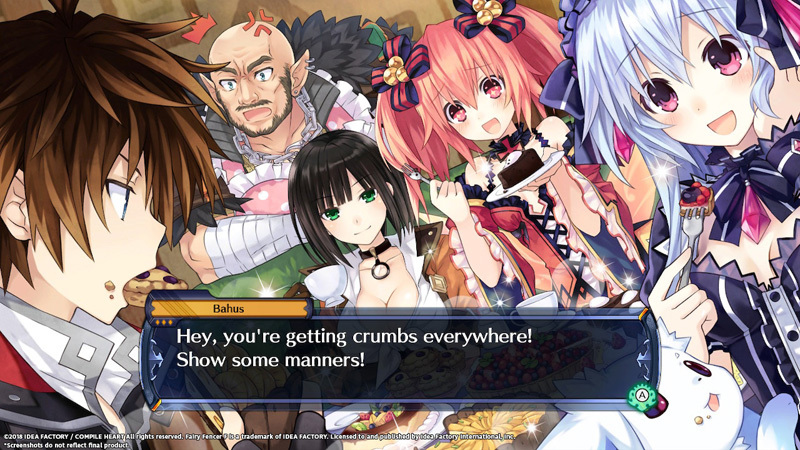 Fairy Fencer F: Advent Dark Force features its characters with both Japanese and English voices. This seems weird to confirm considering the previous releases were also both dual audio, Guilty Gear XD Revelator and BlazBlue: Centralfiction are guilty of dropping the later out of the blue. In any event, the game’s dub is just as good as its dub. 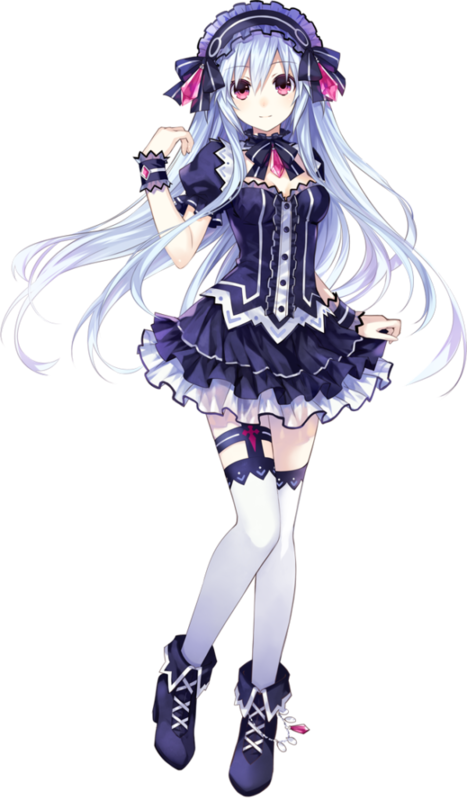 Unlike a majority of the Hyperdimension Neptunia games, Fairy Fencer F features character voices of both the male and female variety. This gives the game a more diverse cast which helps with relating to each character. Who wouldn’t want to talk to Galdo and his tubular Canadian accent? Overall, Fairy Fencer F: Advent Dark Force does a good job expanding the original game. The ability to affect the story based on seals broken is a very welcome addition to the game. This honestly should have already been featured in the original game. Six-man parties also have a way of making each battle more exciting. Battles never seem too one-sided however as raised enemy stats rebalance the game despite the increased party side. Honestly, the only minor gripes from this port would be balancing in the sound department. HEY! HEY!! LISTEN!!! gives Fairy Fencer F: Advent Dark Force 8.3 Ganada out of 10.